Fox News is promoting its newly launched streaming service, Fox Nation, with a “push down” ad on its website. 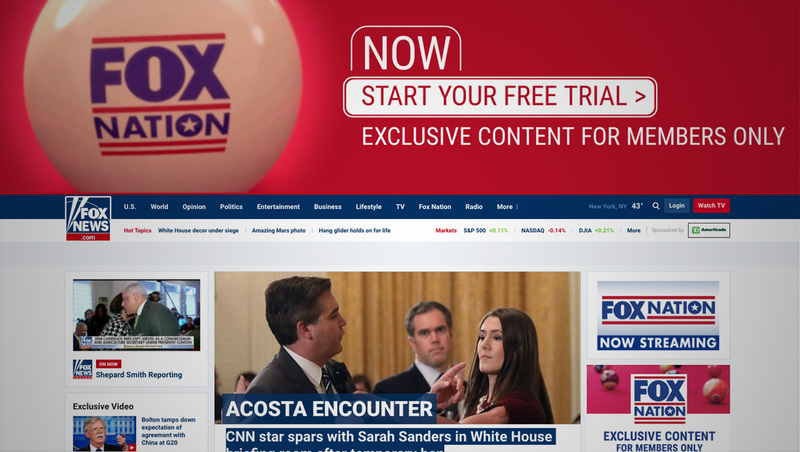 Visitors to FoxNews.com see the typically page load, before a large red banner pushes the content down. The banner features the custom cue ball seen in the Fox Nation promotional reel on the left.